Green smoothies have many healthy benefits and allow you to quickly sip up your fruits and veggies requirements in a delicious form. Plus, smoothies are made using real whole fruits and veggies, so they’re packed with nutrients and fiber. Like our regular smoothies, both of these green smoothies can blended with your choice of low-fat, non-fat, or no sugar added frozen yogurt bars. Green smoothies are only available in regular 16oz size at participating full-serve Yogen Früz stores in Canada and U.S. including Puerto Rico. Not in the mood for a green smoothie? 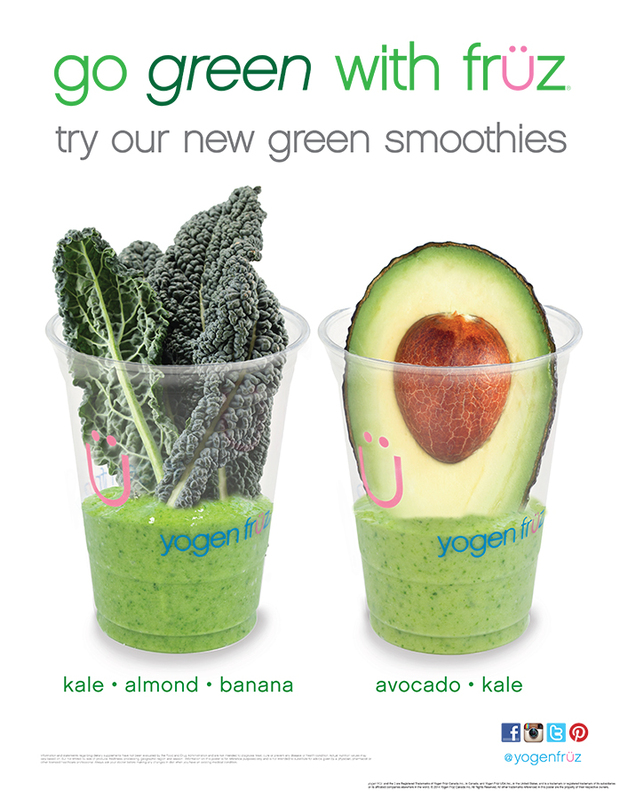 You can still go green while sipping on your fave Yogen Früz smoothie. Add a Kale-lify boost to your favürite Yogen Früz smoothie to add a whole lot of awesome. For those who don’t know, Kale is a curly and frilly member of the cabbage family. Trust us, it’s no joke when they call this vegetable the “Queen of the Greens”. Don’t believe us? We’ve listed a short list of the benefits of Kale below. 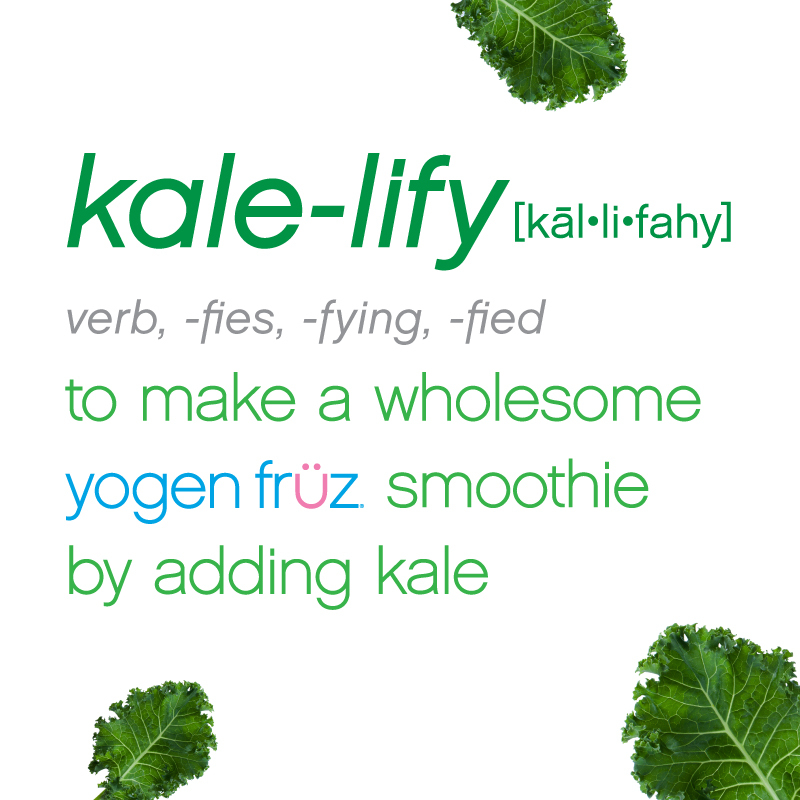 Our Kale-lify boost blends fresh kale to your smoothie, adding a bit green color and a whole lot of nutritional yüm! It’s great detox food – Kale is filled with fiber and sulfer, keeping the liver happy and healthy. Our new kale boost is now available at participating stores in Canada and U.S. Ask in stores for more details. Click here to find a store near you.